Detective Sergeant Brian Cuscino suffered a fatal heart attack while participating in the department's mandatory physical fitness program at approximately 7:30 am. He collapsed while using a treadmill at a local gym that was authorized to be used for the wellness program. Another officer found him unconscious. 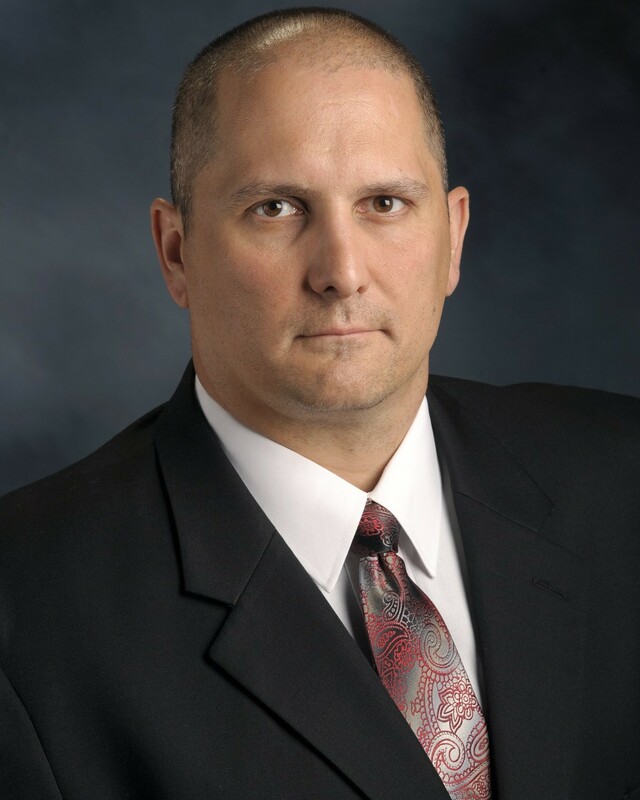 Sergeant Cuscino had served with the New Castle Police Department for 17 years and was assigned to the Criminal Investigations Division and Special Response Team. He is survived by his wife and two sons. He passed away on the same day he was to receive the department's Officer of the Quarter award. The driver fled on foot during the stop, then opened fire on Officer Shaw as he pursued him. Officer Shaw was fatally wounded in the chest during the foot pursuit. The subject continued to flee and remains at large. Trooper Michael Stewart was killed in a vehicle crash on Route 711, at the Route 271 split, in Ligonier Township, Westmoreland County, at approximately 2:20 am. His patrol SUV was traveling southbound when a garbage truck attempted to turn left onto the roadway in front of it, causing a collision. Trooper Stewart suffered fatal injuries in the crash and his partner suffered minor injuries. Trooper Stewart had served with the Pennsylvania State Police for three years. Police Officer Scott Bashioum was shot and killed as he and his partner responded to a domestic disturbance call at a home on the 100 block of Woodcrest Drive at approximately 3:15 am. He and another officer were ambushed and shot as they approached the home. The subject who shot them then committed suicide inside the home after murdering his pregnant wife. Both officers were transported to Canonsburg Hospital, where Officer Bashioum succumbed to his wounds. The other officer was flown to Allegheny General Hospital to undergo emergency surgery. Officer Bashioum was a U.S. Air Force veteran and had served with the Canonsburg Borough Police Department for seven years. He is survived by his wife and children. 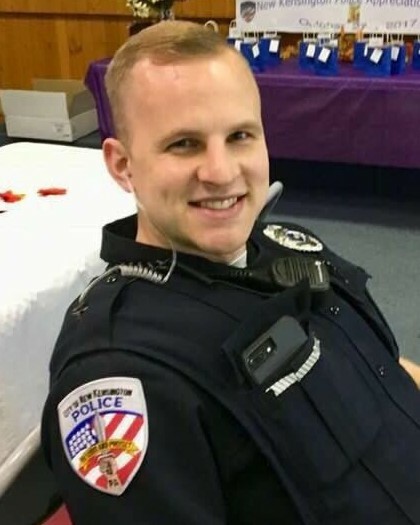 Police Officer Lloyd Reed, Jr.
Police Officer Lloyd Reed was shot and killed while responding to a domestic disturbance call at a home at 131 Ligonier Street, in New Florence. He was fatally shot by the subject as he arrived at the location. Despite being wounded, Officer Reed was able to return fire and wounded the subject. The man fled the scene but was arrested by members of the Pennsylvania State Police approximately six hours later suffering a gunshot wound in the shoulder. Officer Reed was transported to Conemaugh Memorial Medical Center where he was pronounced dead. Officer Reed had served with the St. Clair Township Police Department for five years. He had previously served with the Seven Springs Borough Police Department, Hooversville Borough Police Department, and Seward Borough Police Department for a combined total of 25 years. He is survived by his wife. 3:20 am while pursuing three juveniles who had stolen a vehicle. a 15-foot drop on the other side. He suffered a serious head injury as the result of the fall. succumbing to his injuries early the next morning. and recklessly endangering another person. survived by his wife and two children. His patrol SUV was struck head-on by a van driving the wrong way on the divided highway. His canine partner suffered serious injuries and underwent surgery at an emergency animal hospital. The two occupants of the van were critically injured. Police Officer Robert Wilson was shot and killed when he and his partner interrupted a robbery at a video game store at 2101 West Lehigh Avenue at approximately 4:45 pm. The officers were conducting a security check of the businesses in the strip mall and had parked in front of the store. Officer Wilson went into the store to conduct the security check and to buy a video game for one of his sons. While he was inside two brothers entered the store and announced a robbery, not noticing Officer Wilson inside or the patrol car parked out front. Officer Wilson immediately announced himself. He exchanged shots with the two brothers as he drew fire away from the customers and employees. He was struck three times during the shootout in which over 50 shots were fired. The two men then exited the store where they were engaged in a shootout with Officer Wilson's partner, who had remained in the patrol car. One of the subjects was wounded during the second shootout. Both men were arrested and charged with Officer Wilson's murder. One of the brothers was on parole for robbery at the time and both had extensive criminal histories. Officer Wilson had served with the Philadelphia Police Department for eight years. He is survived by his wife and two young sons. A memorial fund for P/O Robert Wilson III has now been established at the Police and Fire Federal Credit Union. PFFCU Acct #91032601 Donations will be accepted at any of the branches. If you are a member of the Credit Union donations can be made over the phone at 215-931-0300. Police Officer Richard Champion was killed in a vehicle crash while pursing a vehicle on Pittsburgh Road, in Perry Township, at approximately 1:00 pm. During the exercise a live round was discharged and struck Trooper Kedra in the chest. He was flown to Temple University Hospital where he succumbed the injury. Corporal Bryon Dickson was shot and killed from ambush at the Blooming Grove Barracks in Pike County, at approximately 11:00 pm. Corporal Dickson and another trooper were both outside of the barracks during a shift change when they were shot by an unknown assailant using a .308 caliber rifle. The suspect remains at large. Corporal Dickson was a U.S. Marine Corps veteran and had served with the Pennsylvania State Police for seven years. He is survived by his wife and two sons. Patrolman J.J. Lomax was electrocuted when he came into contact with a live electrical wire while assisting at the scene of an accident on Sawmill Road, in Salem Township, at approximately 3:10 am. He was en route home following his shift when he came across the single-vehicle accident. He was attempting to assist the driver when he came in contact with the downed wire. Patrolman Lomax had served in law enforcement for 27 years. He worked for the Forest City Borough Police Department, Mayfield Police Department, Great Bend Police Department. He also served as a volunteer firefighter with several fire department. He was survived by his wife, daughter, and several siblings. Sgt. John A. Barney Barnhart (Ret. ), 60, of Allentown, passed away on Monday, June 24, 2013, at Lehigh Valley Hospital-Cedar Crest, suffering from complications due to injuries sustained while in the line of duty. He was the husband of Susan M. (Wilkins) Barnhart with whom he celebrated 37 years of marriage. Born in West Pittston, PA on January 18, 1953, he was the son of the late Malcolm E. and Clare P. (Rader) Barnhart. He was a member of St. Francis of Assisi Catholic Church, Allentown and was a 4th Degree Knight in the Knights of Columbus Assembly 931. John attended Admiral Farragut Academy, NJ, and graduated from Whitehall H.S. in 1970. After graduating high school, he started as a Santa at the Whitehall Mall, continuing his role as Santa for F.O.P. Lodge 10, The Spina Bifida Assoc. of the Lehigh Valley, Turning Point Bethlehem, Allentown Federal Credit Union, City of Allentown Employee Christmas Caroling Program, Wiley House, and the Good Shepherd Day Care. John began his career as a police cadet in 1973, joining the Allentown Police Department in 1974. He received numerous commendations, including one for heroism when he entered the Lehigh River to save the lives of three men. In 1985, he coordinated the F.O.P. Food Basket Program as well as fundraisers for The Spina Bifida Association of the Lehigh Valley. He was a loaned executive for United Way, financial secretary for F.O.P.Lodge 10, and a delegate on the F.O.P. State Board. He also served for Big Brothers & Big Sisters and the Visiting Nurses Association, and was a 32nd Degree F. & A.M. at the Jordan-Martin Lodge #673. In 1988, John received the Allentown City Council Spirit Award. John was also an instructor at the Allentown Police Academy, certified scuba diver for the A.P.D., a competitive shooter on the police pistol team, hostage negotiator, master of ceremonies for many police functions, certified defensive driving instructor throughout the state of PA, and also a wonderful Rodney Dangerfield impersonator. John retired as a sergeant in 1996 after being injured in a Dream Come True charity race in 1991 when he was struck from behind by a go-cart operated by the former Mayor of Bethlehem, Ken Smith. His injuries ultimately caused him to have numerous surgeries which left him paralyzed below the waist. Although the last 10 years of his life he was confined to a hospital bed at home, he still enjoyed the love and company of his family and friends. And he especially enjoyed the time he spent with his grandson. John was a voracious reader, especially of history and WWII. He loved music and was a trivia buff. He also was an artist, drawing cartoons and caricatures for the F.O.P. newsletter, The Blue Line. Survivors: Wife; children, Sarah R. Bologna and her husband, Michael, Jonathan E. Barnhart; sister, Loretta Golden and her husband, Robert, of Omaha, NE; grandson, Nathan John, who was the joy of his life; nieces and nephews; faithful companions, Orion and Hooper. John was predeceased by his sister, Patricia A. Barnhart. Contributions: Don Bosco Maridi Project - Salesian Lay Missioners, ATTN: Adam Rudin, 2 LeFevre Lane, P.O. Box 30, New Rochelle, NY 10802 or salesianlaymissioners.org. Patrolman Jerry McCarthy was struck and killed while responding to the area of a pursuit in New Castle. The subject vehicle ran a stop sign and crashed into the passenger side of the cruiser, where Officer McCarthy was seated. Patrolman McCarthy was pronounced dead during transport to Jameson Hospital. The officer driving the cruiser also sustained injuries in the crash. The subject had been arrested less than one month earlier, by Patrolman McCarthy's partner, for operating without a license. She was apprehended at the scene and faces multiple charges including manslaughter. Patrolman McCarthy worked part time for the Shenango Township Police Department and at the Lawrence County District Attorney’s office. He had been with the Shenango Township Police for exactly one year. Patrolman McCarthy is survived by his wife, two sons, daughter, step daughter, and step son. Trooper Blake Coble was killed when his patrol car collided with a tractor trailer at the intersection of SR 168 and Blackhawk Road in South Beaver Township, Beaver County, at approximately 10:00 am. He was transported to Heritage Valley Beaver Hospital where he succumbed to his injuries. Trooper Coble had served with the Pennsylvania State Police for 23 years and was assigned to Troop D, Beaver Station. He is survived by his wife and two children. Donations in honor of Trooper Coble may be made to the “Blake T. Coble Memorial Fund,” First National Bank, 2634 Darlington Road, Beaver Falls, PA 15010, PH 724-847-3200. Police Officer Brad Fox was shot and killed after responding to reports of a hit-and-run near the intersection of Conshohocken Road and Ernest Station Road. The subject shot Officer Fox and wounded his canine partner, Nick, when they made contact with the man. Officer Fox had served was a U.S. Marine Corps combat veteran and had served with the Plymouth Township Police Department for seven years. He is survived by his expectant wife and young daughter. Officer Fox was killed the day before his 35th birthday. Police Officer Moses Walker was shot and killed while attempting to take police action while off duty shortly before 6:00 am. He had just finished his shift at the 22nd District station and was walking to a bus stop after changing into civilian clothes. He was at the intersection of North 20th Street and Cecil B. Moore Avenue when he encountered a situation that resulted in him drawing his service weapon. He was found moments later with his weapon underneath his body. It is believed he may have drawn his weapon when one or more subjects attempted to rob him. Officer Walker had served with the Philadelphia Police Department for 19 years. He is survived by his five siblings. An account has been set up with the (Philadelphia) Police Fire Federal Credit Union (PFFCU) this morning (Wednesday, 8-22-2012). This is a deposit only account. People willing to donate may come into or call any PFFCU Branch and ask to contribute to the MOSES WALKER JR. MEMORIAL FUND. Police Officer Brian Lorenzo was killed when his department motorcycle was struck head-on by a drunk driver on I-95, near the Cottman Avenue exit at approximately 3:15 am. The drunk driver was driving the wrong way on the interstate at the time. The driver was arrested at the scene. Officer Lorenzo had served with the Philadelphia Police Department for 23 years and was assigned to the Highway Patrol. He is survived by his wife and three children. He is also survived by a brother who serves with the Philadelphia Police Department. An account for Brian Lorenzo and his family has been set up at the Police and Fire Federal Credit Union in the name on "Brian Lorenzo Memorial Fund"
The account number is 84157201. Donations for his family can be taken at any PFFCU branch or other PFFCU members can make transfers directly by phone at 215-931-0300.